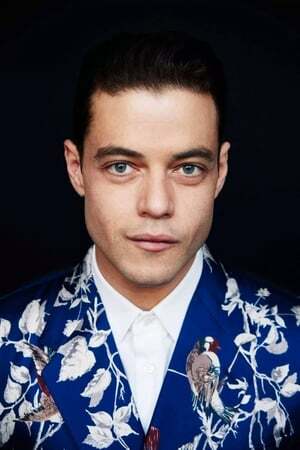 Rami Said Malek (born May 12, 1981) is an American actor from Los Angeles. He won a Critics' Choice Award and the Primetime Emmy Award for Outstanding Lead Actor in a Drama Series for his lead role as Elliot Alderson in the USA Network television series Mr. Robot. He also received Golden Globe Award, Screen Actors Guild Award, and TCA Award nominations. Malek has acted in supporting roles for other film and television series such as Night at the Museum trilogy, Fox comedy series The War at Home (2005â€“2007), HBO miniseries The Pacific (2010), Larry Crowne (2011), Paul Thomas Anderson's The Master (2012), The Twilight Saga: Breaking Dawn â€“ Part 2 (2012), the independent film Ain't Them Bodies Saints (2013) and the dramatic film Short Term 12 (2013). He was also in the videogame Until Dawn (2015) as Joshua "Josh" Washington. Malek is set to portray musician Freddie Mercury in the upcoming biographical drama Bohemian Rhapsody (2018). Description above from the Wikipedia article Rami Malek, licensed under CC-BY-SA, full list of contributors on Wikipedia.